Circa 1938-1949: The Riviera rectangular batter tray is trimmed with three tier tabbed handles and four simply scalloped edges. 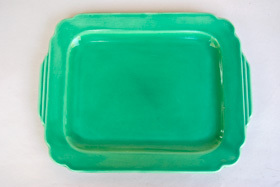 The Riviera pottery trays were made on a ram press, a method that pressed the clay body as oppossed to pouring slip into a mold. 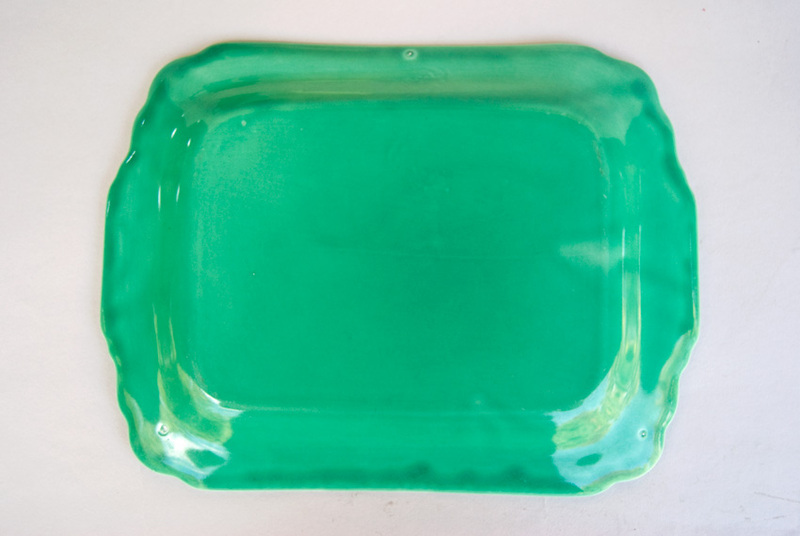 Riviera platters were fully dipped in glaze and set on stilts in the kiln, a slow and laborious process, resulting in an abundance of variation from piece to piece. 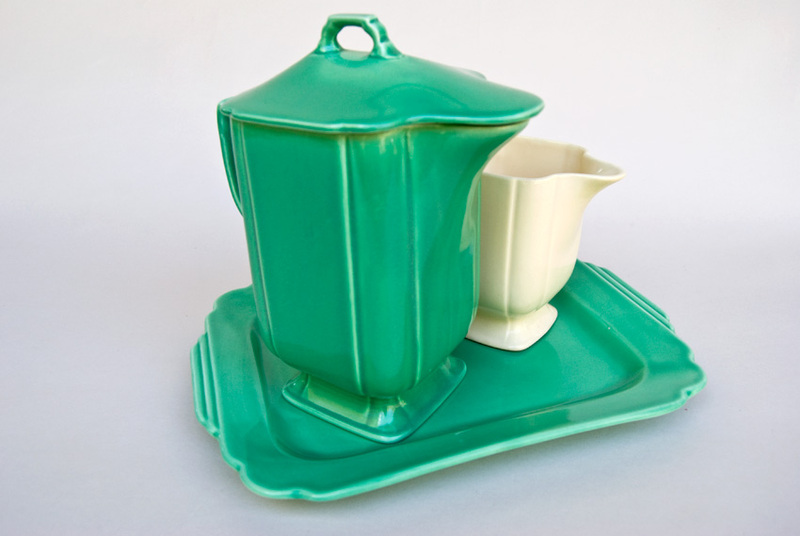 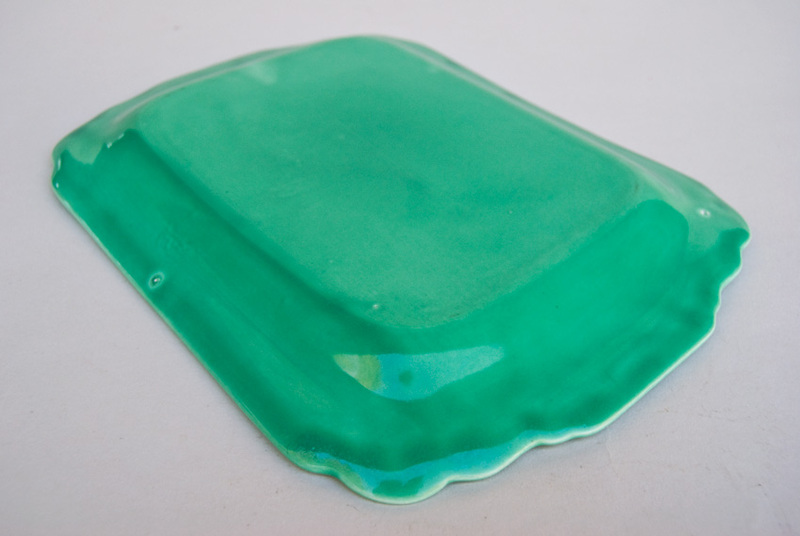 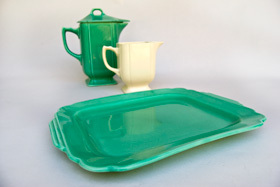 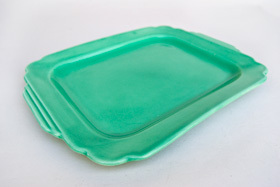 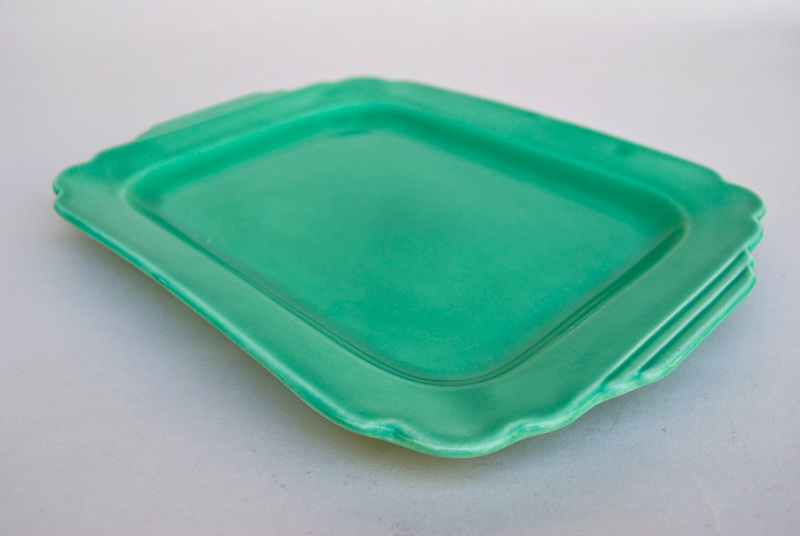 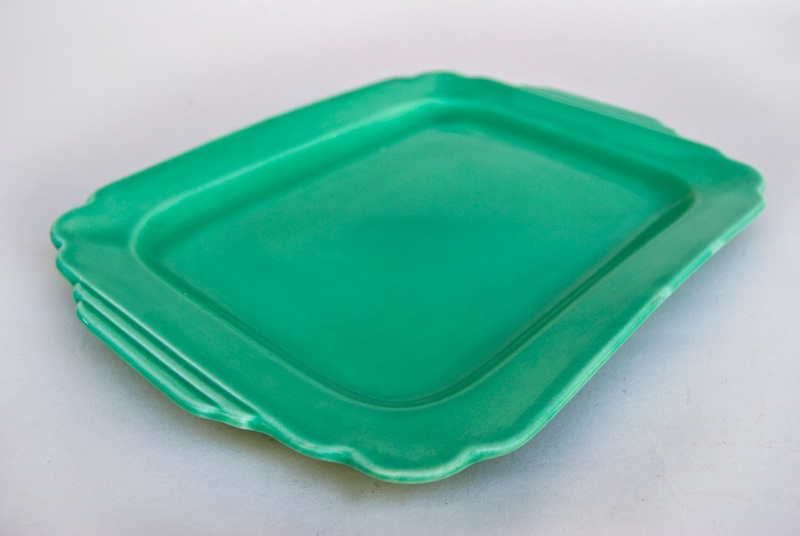 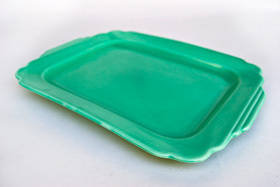 This example of the 11" batter tray in original light green is in excellent condition with only the lightest of use across a smooth and shiney surface. Glaze variation on the back and slightly on the front. 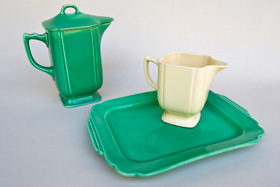 Glaze developer Dr. Albert Bleininger was noted as once remarking that Homer Laughlin had a dozen dippers, not all of them are good. This platter is without damage and is a wonderful old example of the early and hard to find Riviera pottery.